Q: water and IFC practices, direct funding to water corporations, undermining HR to water and democratic practices. Often fails and conflict of interest. 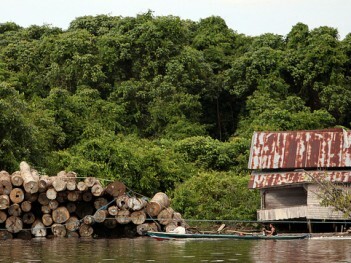 WB being both owners and adviser to government, eg Manila water – when will actions be taken to address these concerns. Q: Gay activist Philippines, first LGBT delegation to spring meetings. How can these issues engage the Bank. Q: Tata Mundra, fishing grounds have been destroyed, have questions to ask – will you commit that IFC develops action plan with clear targets, timeline, IFC formally recognised it has violated its policies, should withdraw funding – how many more petitions do you need to develop a remedial action plan? our presence is there to address problems, as long as partners are ready to work with us we should remain engaged. we are seeing many of these cases, what do we do? Q: Indonesia NGO, appreciative of Kim’s commitment to no dilution, important as we have a law enforcement – proposal to base much of safeguards review on EBRD safeguards, much weaker than WB and other institutions, not mandatory, insufficient disclosure, relies on client self reporting, etc, also use of offsets – what is your opinion about this and link to no dilution? Q: IFC promotion of PPP model of water provision, cases in India – IFC holding up as success, but joint venture with repeated problems, including corruption, delays. PPP has not even received gov approval. Q: Lessons learning, from Chad, mega project 7bn, was supposed to be transformational, but has done exactly the opposite, WB has walked away. What has WB learned from this? Q: From Albania, poverty and safeguards, respect for human rights – what would be the right policy for the WB to promote gender, equality, sexual rights, and how we can help? Q: Community based organisations, human rights, environmental impact assessments crucial to mitigate negative impacts, but also direct relationship with human rights. Every time impact on environment, impact on communities. There is environmental impact assessment, why not also human rights impact assessment. The Bretton Woods Project's selection of the best books, reports and other resources on the World Bank and IMF from 2016. Notes from a CSO roundtable with World Bank Group Executive Directors at the IMF/World Bank 2016 annual meetings. Notes from a meeting at the IMF/World Bank CSO Forum at the 2016 spring meetings between World Bank executive directors and CSOs. This Inside the Institutions looks at the World Bank's new global practices and cross-cutting solutions areas that were established to improve how staff share knowledge internally and externally. The best books and papers on the World Bank and IMF from 2015. This Inside the Institutions looks at the World Bank's new country engagement model, including the systematic country diagnostic and country partnership framework. Gender and development: What is happening now? Notes from a meeting on gender and development during the World Bank spring meetings. Notes of a meeting with World Bank executive director Gwen Hines in October 2014. Minutes from a World Bank sponsored event on the new World Bank Group strategy during the 2013 WB/IMF annual meetings. The Bretton Woods Project convenes meetings with World Bank and IMF executive directors (EDs) several times a year. On 17 September the Project and civil society representatives met with Gwen Hines, the UK World Bank ED. Here are the notes from the meeting. Web links for the leaked documents about the World Bank's strategy. This session examined Colombia's private sector partnerships and poverty eradication programme. This session gave an overview on the links between private sector and healthcare provision in tackling poverty. The session focused on the World Bank's development strategy, poverty eradication goals, global inequality, and the threat of climate change. This session featured a presentation from UN special rapporteur on the links between financial and housing crises, safeguards and the right to adequate housing. This panel discussion reflected on the major sustainability challenges facing the World Bank through exploring two World Resources Institute areas - a portfolio analysis on 2012 projects, and the interaction between country systems and World Bank safeguard approaches. This session examined issues thrown up by the Arab revolutions, including the fiscal, monetary, tax and investment policies being considered by governments facilitating, or hindering countries in the Arab and other regions in building an inclusive economy and supporting socioeconomic recovery, the impact on public expenditure for the strengthening of education, health, and other social sectors as well as the management of chronic and high unemployment and high food and fuel prices. World Bank briefing on the Global Agriculture and Food Security Program (GAFSP) with a particular focus on recent private sector window projects. Leveraging private finance with public money: Positive Innovation? Corporate Welfare? This event explored how modalities to "leverage" the private sector are beginning to appear in different ways in the World Bank and donors' agenda, and the challenges they pose. This event featured a discussion between CSOs and the Russian Federation G20 sherpa covering topics including food & nutrition security, jobs and the post-2015 development agenda. This session examines the challenges which recent court decisions pose to sovereign debt workouts that allow for burden-sharing and take into account the social development needs of debtor countries. Center for Economic and Policy Research (CEPR) sponsored discussion on macroeconomic policy in the Eurozone, and the challenges to restoring employment and growth. The World Bank Group's staff incentives and compensation schemes are considered important drivers of the Bank institution's successes and failures. This was a meeting on 1 October 2012, between the Minister of State of the UK's Department for International Development (DFID) and civil society representatives, focusing on the World Bank. The World Bank and the International Finance Corporation (IFC, the Bank's private sector arm) are jointly encouraging sub-national lending to states or provinces, aimed at boosting direct engagement at the state or municipal level. This panel discussion centered on the possible policy lessons for the Safeguard Review of learning from the emblematic or most frequently registered cases of non-compliance with Bank safeguard policies, particularly project supervision, environmental assessment, and involuntary resettlement. This session brought together representatives of three leading policy research organizations from Bangladesh, Tanzania and Ecuador, to share their experiences and analysis of the potential of think tanks to promote local solutions and influence global thinking. This session aimed to gather CSO views, suggestions, and concerns on how to improve the current guidelines, including IMF consultation processes on policies, strategies, and Art. IV consultations. 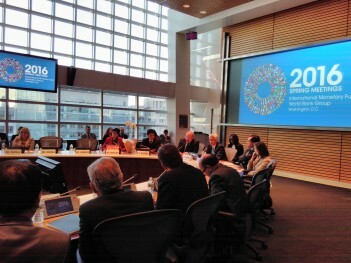 This session highlighted the perspectives of finance ministers, policy makers, and academics on the need to ensure timely, effective international adjustment in a manner consistent with sustained global growth and continued adherence to the system of open, dynamic international trade and payments constructed over the past 65 years. This session provided CSOs with the opportunity to have an exchange with IEG's Director-General and Senior Vice President on the role of the IEG. This event discussed how to invest in agriculture in a responsible way, including research on the scale of the global rush for land, and explored potential solutions to the problem, including the role that the World Bank can and must play. This townhall was for CSO representatives accredited to the Annual Meetings. The CSO Discussants made initial remarks on Fund and Bank policies and were followed by comments from Mr. Kim and Ms. Lagarde. This was then followed by a general discussion on issues of concern to CSO representatives. This session will discuss the strengths and weaknesses of the Bank’s approaches with respect to different financial instruments and evaluate the challenges of ensuring coherence in environmental and social sustainability outcomes across instruments. The World Bank's investment lending (ILs) have been joined in recent years by new lending instruments, whilst IL itself faces an overhaul, as the Bank's operational policies come under review and pilots for the use of 'country systems' mature. The Bank is presently using four lending instruments: investment lending, development policy lending (DPL), Program-for-Results, and the World Bank guarantee program. 2012 Tokyo Annual Meeting Planning Session held on Saturday, 21 April. Minutes of presentation and discussion on Kosovo's options to develop a sustainable energy future, Washington DC, 20 April 2012. Agriculture re-emerged in the last decade as a focus of World Bank Group lending, with the Bank claiming that "improving agricultural performance is the most powerful tool we have available to reduce global poverty and hunger." China joined the World Bank in April 1980, and since then has been one of its largest borrowers and recipients of technical assistance. In recent years, China has gone beyond the only role of recipient country and has increased its influence on the Bank. Trade finance refers to financing arrangements that support international trade transactions. It is one of the central parts of a new ten-year strategy paper on international trade currently being developed by the World Bank for the period between 2011 and 2021. The World Bank and the IMF formally recognise tax avoidance and evasion as a critical problem for developing countries' domestic resource mobilisation. The Bank's public position on tax evasion and tax havens does not however identify concrete measures to stop investing in companies practicing tax avoidance. The IMF addresses tax policy under its surveillance mandate and in its technical assistance, but does not have an explicit framework to deal with tax evasion. The World Bank's engagement in carbon finance has expanded from its "pioneering" Prototype Carbon Fund in 1999, which provided the groundwork for the continuously popular market-based approach to emission reductions. 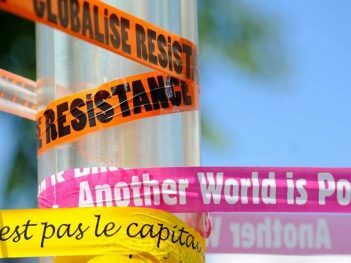 The G20 has turned to the IMF to operate as a research and advisory body on their behalf since those governments’ leaders first met in November 2008. The IMF’s work in this area has mainly fallen in three areas: technical advice, surveillance, and research. The World Bank currently plays four different roles in arrangements to distribute finance for mitigation and adaptation to climate change in developing countries. In addition, its overall lending portfolio can have significant environmental impacts. The International Center for the Settlement of Investment Disputes (ICSID), part of the World Bank Group, is an arbitration forum between governments and foreign investors to settle investment disputes. Two thirds of international investment disputes go through ICSID. The special drawing right (SDR) is an international reserve asset, created by the IMF in 1969 to supplement the existing official reserves of member countries. National and international financial bodies frequently overlap both in function and membership. Below are some of the main regulatory or influential bodies within the financial system. In most, the IMF is a participant, and in some, a central player. The advisory services (AS) department of the International Finance Corporation (IFC), the private sector arm of the World Bank Group, has grown rapidly since its establishment in 1986 and is seen by the IFC as one factor that distinguishes them from other financiers. Meeting between UK NGOs and UK Alternate Execituve Director to the World Bank -Caroline Sergeant- on July 22, 2008. In the last five years the global system for channelling development finance to the health sector has changed radically, causing the Bank to seriously re-examine its role in health finance. This article covers the who, what, where and how much of the World Bank's work with in the health sector. The World Bank Group and the IMF have become more involved in assistance to and oversight of Islamic financial institutions. The IMF has regular, systematic engagement with government representatives at many levels. Implementation of the IMF’s programme cycle varies from one country to the next, depending on the situation and need of the country in question. The nature of the programme cycle is highlighted by looking at the cases of Uruguay and Mozambique. The role of the IMF and World Bank in responding to emergencies and coordinating with relief efforts. The World Bank's public-lending institutions (IDA and IBRD) lend about US$ 15-20 billion annually to 100 countries to Projects ranging from infrastructure, education, health and government financial management. 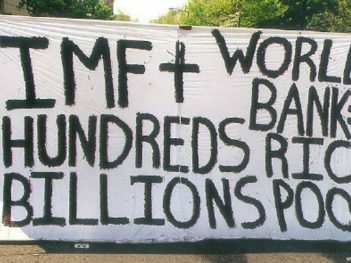 The Bretton Woods Project's review of the most important developments at the World Bank and IMF in 2016. 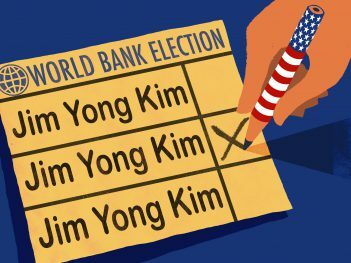 The World Bank is set to reappoint president Jim Yong Kim for another five year term, despite persistent concerns from Bank staff and renewed calls for a merit-based process based on principles of transparency and diversity. 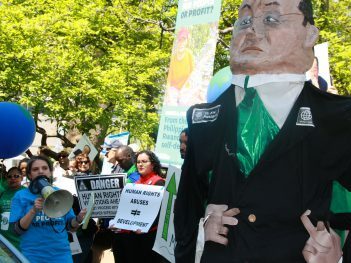 The World Bank has released its Forest Action Plan, but civil society raised concerns, including regarding lack of impact in light of the outcomes of the safeguards review and the links to the Forest Carbon Partnership Facility. The Bretton Woods Project review of the most important developments at the World Bank and IMF in 2015.